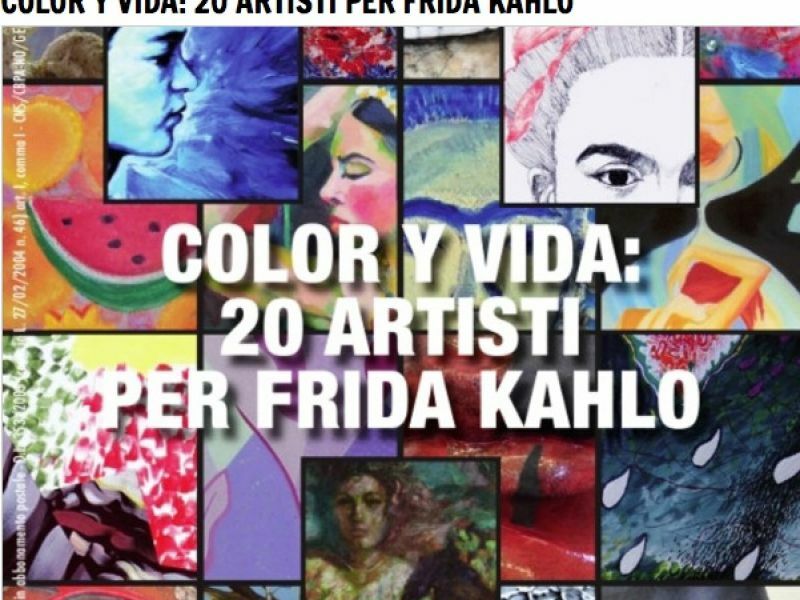 "Color y vida: 20 artists for Frida Kahlo" is the name of the exhibition organized by the Fondazione Casa America and by the cultural association R. Airolfi at the Lodge of Palazzo San Giorgio in Genova, Italy, until Friday, February 20th. The installation includes works by 18 Italian artists, plus two foreigners: Plaka Ylli, Albanian sculptor, and Fabiola Quezada, Mexican painter, selected by the two cultural associations to pay homage to the figure of Frida Kahlo and her passage in Liguria with the extraordinary exhibition at Palazzo Ducale, Genova. The exhibition includes paintings on canvas, made with different techniques and styles - ranging from Bruno Gorgone's abstractism to the oneiric realism of Montanari Maria Luisa - passing through the sculptural art, which finds in the works of Plaka Ylli and Rossana Gottelli its points of merit. Each piece in this exhibition has been specially designed for it, and was donated by the artists to the organizing associations.